We are engaged in offering of top quality Hypalon Rubber Products. These products have been manufactured with the latest advanced technologies and high quality raw materials. With the team of talented experts, we are able to provide these products with compliance to the international standard. Resistant to alcohol, alkalis, hot water, steam, gasoline and acids, these hypalon rubber products are widely used in seal and punching gaskets and floorings with a normal working temperature of -20 C to 150 C.
We being one of the leading manufacturers of the Hypalon Rubber Bush, manufacture it using high quality raw materials. 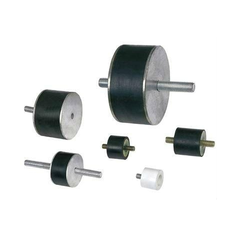 This product is provided by us in various shapes and sizes as specified by our clients. This product provides highly efficient workings in various industrial and domestic purposes. The quality of this product is ensured by a series of quality checks we pass all our products through. This quality product is offered by us in the market at a very competitive price which makes it a highly demanded product. These Hypalon Rubber Roller manufactured by us are provided to our clients in various sizes as per their specifications. This product has a sturdy and durable construct. The product is highly resistant to acid base, and is very much demanded in the market. This product is manufactured using high quality raw materials. We being one of the leading manufacturers of these consider quality to be of utmost importance and thus send all our products through a number of quality checks. Looking for Hypalon Rubber Products ?